This is an indispensible handbook for global activists that takes the reader on a round-the-world tour of resistance to neoliberal globalization. Although the anti-globalization movement is truly global, each region has its own specific groups and agendas. Most books concentrate on the European and American movements. This book is different — writers and activists from every continent summarise what’s going on in their area to provide a truly international view of alternative social and political struggles. From Bolivia to New Zealand, from South Africa to Russia and China, these struggles against capitalism, privatisation, social exclusion and exploitation are mobilising many thousands. Increasingly, these groups are exchanging ideas, particularly at the new Social Forums of Porto Alegre and Mumbai. This book examines what has been achieved so far. The authors examine the World Social Forums as a dynamic for moving things forward. They explore the global anti-war movement and the successful mobilisation for the protests of 15th February 2003 ; they analyse new media strategies ; and they offer a disturbing account on new police arrangements to control demonstrators. 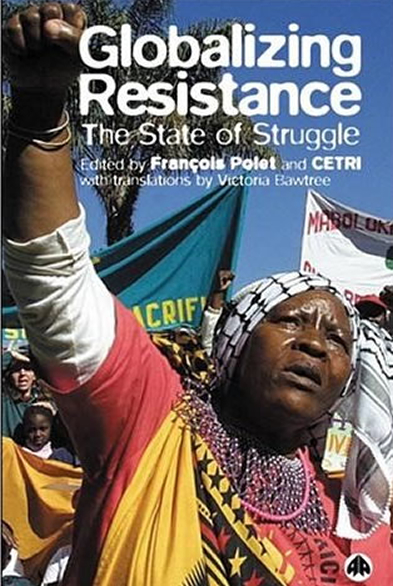 Edited by François Polet, who is a member of the Tricontinental Centre and the World Forum for Alternatives — a group that plays a prominent role in the World Social Forums — the book includes contributions from Donatella della Porta, Boaventura de Sousa Santos, Verity Burgmann, Paola Manduca and Bernard Dreano.